Extreme weather hits from time to time in Fort Collins, from hail storms and excessive winds to tornadoes and flash floods. While powerful storms can cause damage without leaving you time to prepare, there are steps you can take to protect your home, family, and yourself. 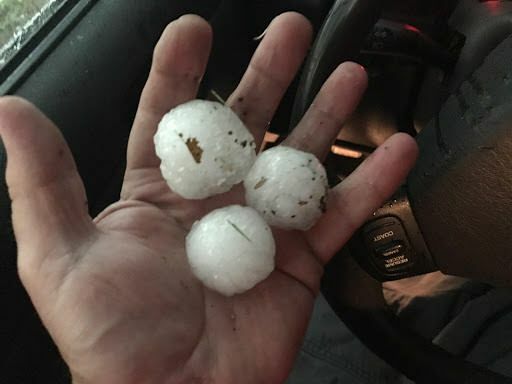 If your area has recently been hit by hail, you’ll need to assess and report any home, car, or property damage to your insurance. While some insurance policies cover hail damage, there can be exceptions. If you live in hail alley, check your policy to ensure you’re covered for major damage when a severe storms hits. After the extreme weather passes, check for local updates on your radio, television, or social media channels. If you go outside, be careful to avoid downed power lines and debris. When checking on neighbors or going through town, stay out of damaged buildings until they have been declared safe by local authorities. As a full-service restoration company, we understand life happens—and it is not always easy to predict a damaging storm. If extreme weather causes broken windows, waterlogged carpets, a flooded basement, leaky roof, or more, let us lend a hand. Our team at Rapid Dry Restoration is on-call 24/7 to help remove water and restore your home. As a licensed general contractor in Fort Collins, Colorado, we can take on any size project to make sure your home is even better than before!